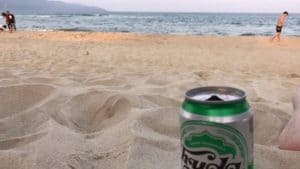 I prefer staying in Da Nang myself, just because it’s less touristy and there’s a lot more options for food and accommodation, plus the beach is amazing. I’ll start with the spots that I recommend checking out in Da Nang, and then it’ll move into the Hoi An spots. I was in Da Nang in March 2017, and these recommendations are based on things that I saw and places I ate at during that time. There’s actually five mountains in the group, named after the five elements, although most people only go and check out one or two of them. Take water with you, wear comfortable shoes and allow a few hours to explore it all. Expect a bunch of climbing up stairs and sweating if it’s a warmer day. Time your visit accordingly if you can. There are some vendors in the complex that sell drinks, ice creams and snacks if you need a top up. Allow a few hours to get there, walk around and explore. 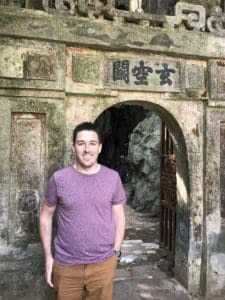 There’s some old Chinese temples there, including one located down in a cave. Check this spot out at night on a weekend. Apparently it’s the longest bridge in Vietnam, but it’s also the most fun and interesting bridge I’ve seen in the world. At 9pm on weekends and public holidays, the dragon’s head on the bridge breathes fire for a couple minutes as part of a display which lures tourists in – and then it sprays water. Stand back and watch as the crowds of tourists who aren’t aware of the water display scream and run when it starts spraying them. Grab some cheap beers on your way to the beach or from one of the vendors who sells on the beach, set up on a deck chair and enjoy the sunset. Go for a quick swim or paddle if that’s your thing, or just enjoy the beautiful sand. This is where the big statute that you can see on the bluff is located. Rent some scooters (assuming that you’re licensed for motorcycles in your home country and your travel insurance will cover you), and go for a ride up to the temple. 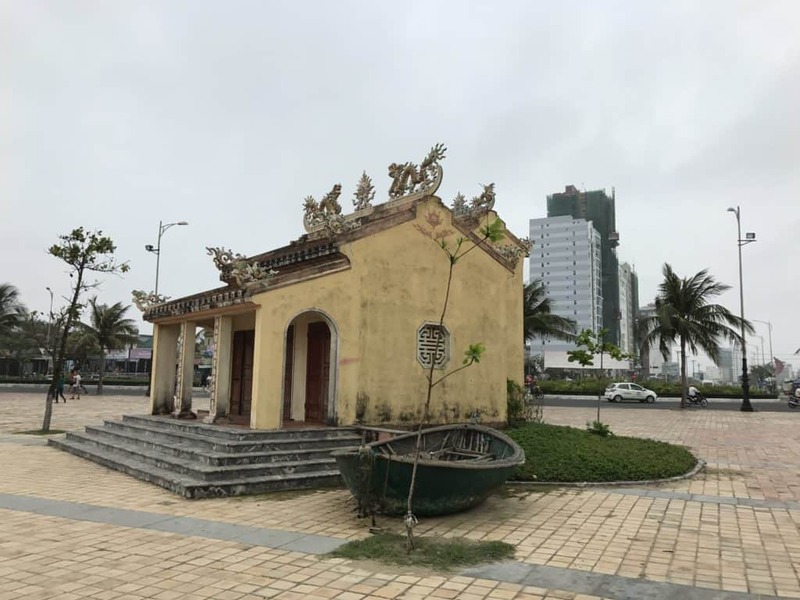 This place was previously on the Nguyễn Văn Thoại roundabout, although it appears to have moved more recently to the location that I’ve linked there. Really cheap grilled chicken wings and beer – when you finish eating, do like the locals do and throw the bones on the floor. Hoi An is about a 40 minute drive south of Da Nang, and easily accessible via motorcycle/scooter or taxis. Assuming that you’re covered by your travel insurance and have an International Driver’s Permit (or a license from Thailand that allows you to ride across all of the ASEAN nations), then you are good to go with renting a motorcycle. The store owners are unlikely to ask for or check your license – but your insurance definitely will if you run into some problems. 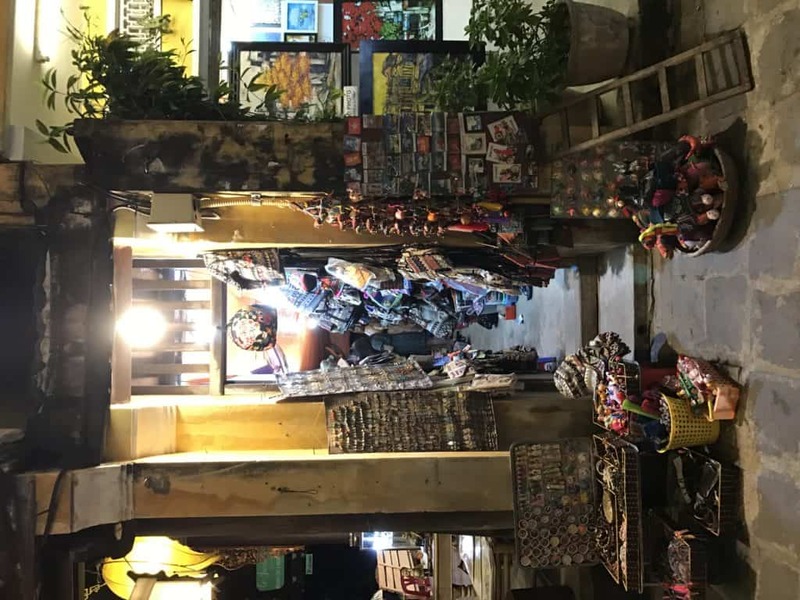 The drawcard in Hoi An is the old city or “Ancient Town” plus the Japanese Bridge which leads you into this area. The Ancient Town is UNESCO World Heritage Listed, and can get very crowded during peak times. Here’s a few food spots to go and check out while you’re in Hoi An. The place was on Bourdain’s show for having one of the best banh my sandwiches in Vietnam. A little insider tip for you to save you a bunch of time here: walk past the huge crowds queued outside for take away sandwiches and go inside instead. You may need to go upstairs to get a table, it’s often busy. The best part is, they’ll come serve you at the table. The dessert menu are what makes this place a great spot to chill for a little while in the afternoon. Great views of the canals too from the outside tables. A nice little local spot to get dinner at – grilled meats, wraps and salad plus really tasty sauces. Sit outside – but just watch out for the guys on scooters who ride down the small lane that you’re sitting in. If any of these spots have changed, closed or moved, please leave me a comment and I’ll update this post.